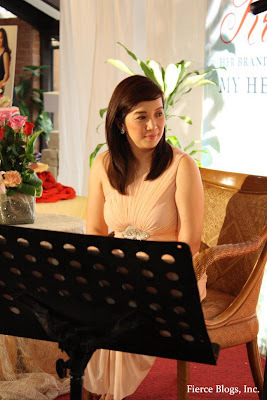 Fierce Blogs: Kris Aquino - The Story Continues with "My Heart's Journey"
Kris Aquino - The Story Continues with "My Heart's Journey"
Everything Kris Aquino touches becomes an instant success! From TV shows, movies, product endoresements, fashion and mind you, even having a full-length studio album. I know, know! 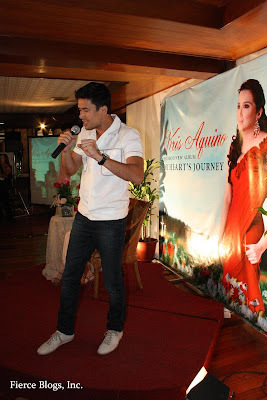 A lot would probably remark as, Kris singing? I really don't know about that! Don't worry everyone, your favorite Pilipinas Got Talent (now on its second season) judge will not be offering her singing voice to her fifth album release under Universal Records. 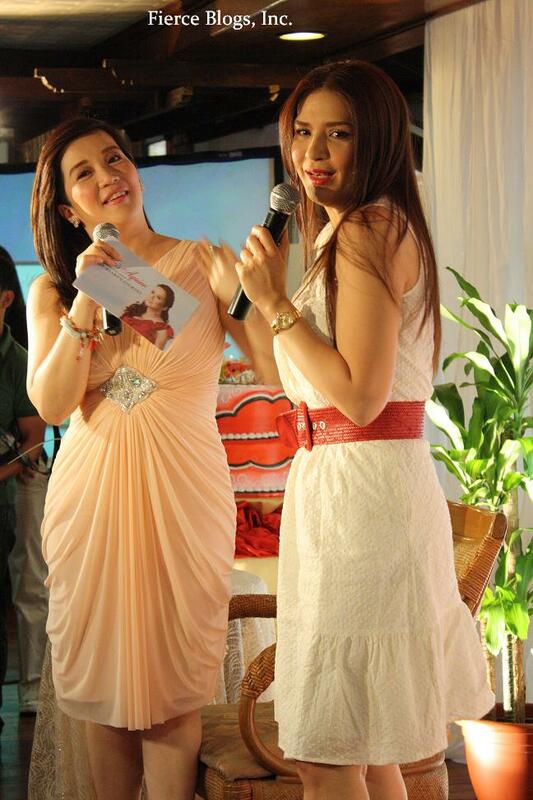 Instead, she shares her personal triumphs and battles in life and love. It's about the narrative of life through songs of laughers and pains. Failure and victories. Even stories of admittance that once in our life we made some stupid decisions. I'd say, who would be the best strory teller of these multihued songs other than Kris Aquino herself. "Now I look back and see you're too young and I was too much in a hurry to know you and let you really know me before we tried to start our family. Come to think of it, I really should have known better. We were just too different for us to last forever. So now, we've move on and started a whole new chapter, separate lives, separate dreams but still connected to each other." This is a quotation from Kris' latest CD, My Heart's Journey - which is her journey to forgiveness. It is really noble and heartfelt how the multi-awarded artist shared to us what happened to her marriage with professional basketball player, James Yap. It was in June 27, 2010 when it was announced that the marraige was over and that both vowed to become good friends after their annulment. But how is Kris now after the break up? As she addmitted, she's traveling the road of redemption. "It was a journey well worth the price of admission. It's our journey that reached its natural conclusion. And all that's left for me to say is thank you, for what you were to me. For now it's goodbye. For always, it's good luck. 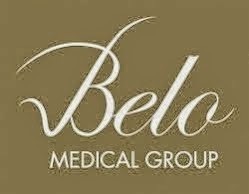 Be blessed and be happy". Such a sweet and selfless closure indeed. But what happens next? Is Kris still willing to give romance another shot? "Ayoko na! I will not fall in love again. That's as of April 5". Kris chuckled. But let's see. 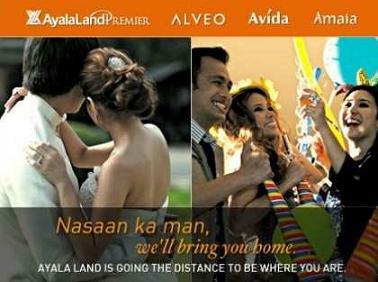 "Ask me again in Oct 11, 2011 (Wedding Anniversary of Ninoy and Cory). I might change my mind. 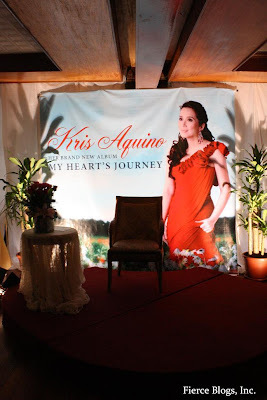 ﻿﻿﻿Kris Aquino - My Heart's Journey is already out in all leading record bars nationwide. If you get a copy, you'll also have a special journal containing inspiring quotations written by Kris herself. Priced at Php300 only. Surely a fierce buy! All pictures were courtesy of Jason Abrera. You did it again Fierce Blogger! I got the CD today and I am listening to it. My personal favorite is healing. Aba aba aba. 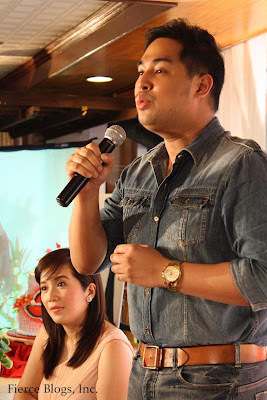 Magaling ang blog mo in fairness! Sosyal sya. nice meeting you too sir! pwede pala magkaalbum kahit hindi kumakanta? Hahaha..Kristeta ur such a great woman...I'm wondering what she has 1 song in this CD,I mean she's the one sung it, probably lots of people would buy it..hahaha...I like the version of when you believe by two divas.